Soft diffused light splashes over the peaks of Arizona's Grand Canyon. Mt. 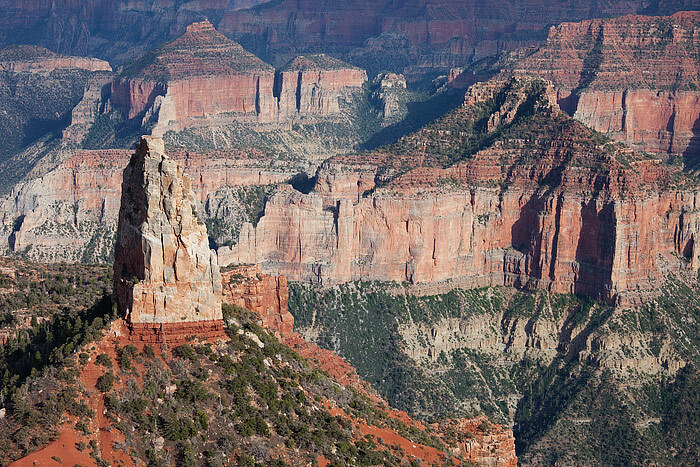 Hayden stands as a sentinel over the North Rim of the Grand Canyon in this magestic afternoon view from Point Imperial. The Grand Canyon is one of the jewels of the National Park system and the North Rim is a great place to get away from the crowds and view some of the parks best viewpoints. Photo © copyright by Thomas Mangan.